The annual ECLC meeting was held from 23 to 24 February 2017 at the Institute of East and South Asian Cultural Studies, Sinology, University of Wuerzburg, Germany. 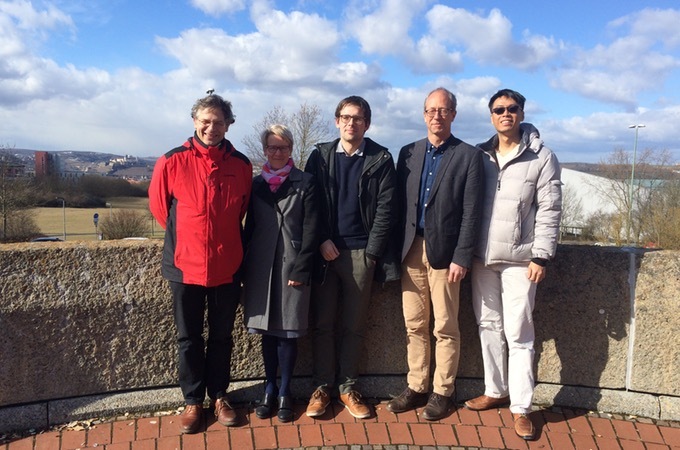 The participants were: Mette Thunø (Aarhus University), Rune Svarverud and Chieh-ting Lin (University of Oslo), Björn Alpermann, Roland Altenburger, Michael Leibold and Florian Thünken (University of Würzburg). Duringt the meeting last year's finances were reviewed, the budget for the upcoming year was decided upon, and matters regarding operation of the ECLC programme at PKU, e.g. modifications of the teaching curriculum and materials, questions of exam organization, housing and excursions, were discussed. Next year's meeting is scheduled for the end of february, and will be held in Aarhus, Denmark.